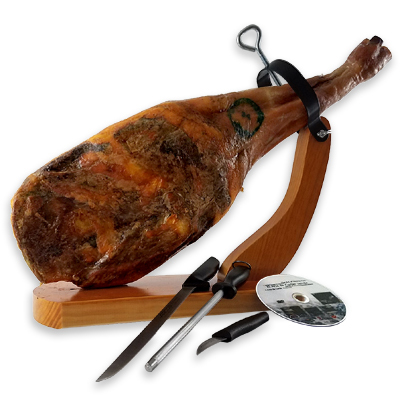 The average weight of ham is 13 lbs. 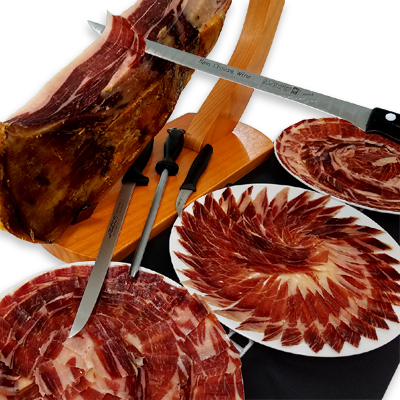 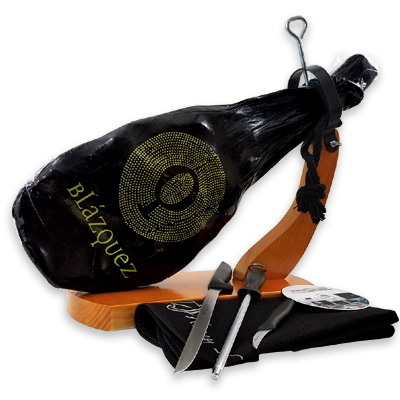 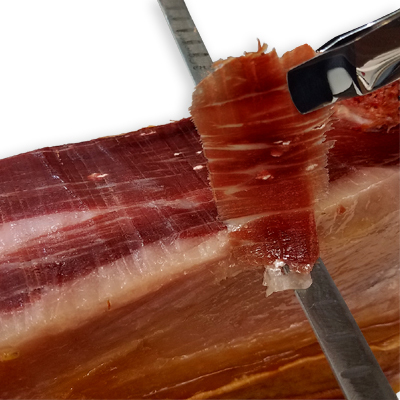 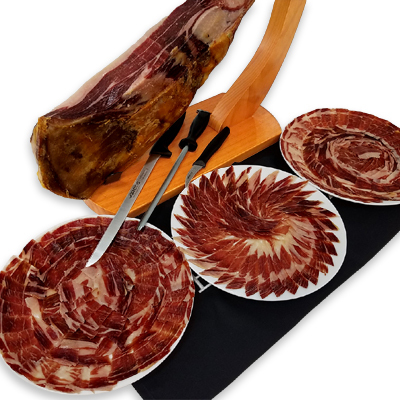 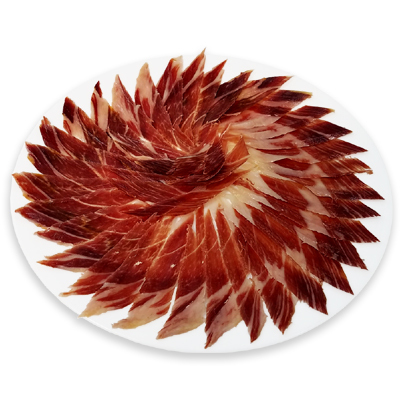 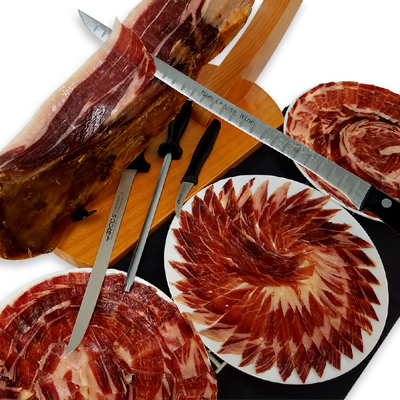 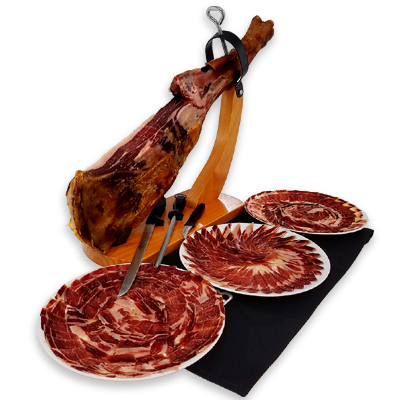 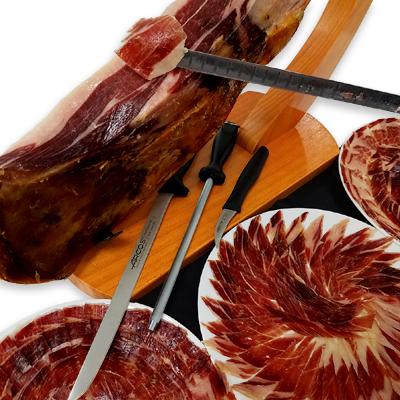 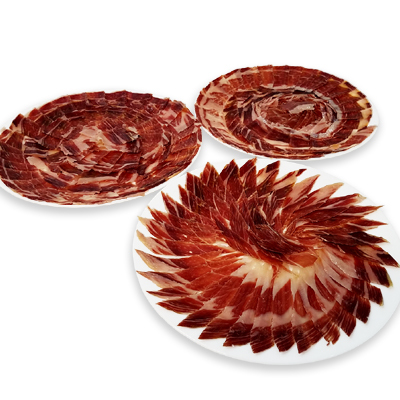 Pure Iberico Shoulder de Bellota Blázquez is an exquisite product made from the fore limb of the Iberian pig bred in the dehesa pastures of the Iberian Peninsula and acorn-fed exclusively during the period of mountaineering. 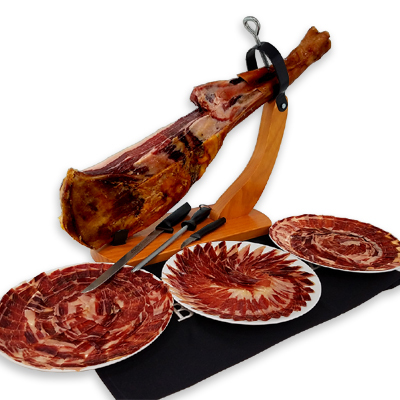 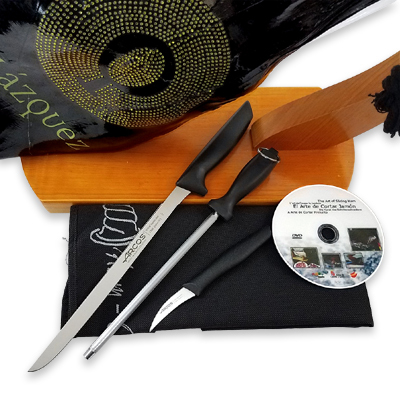 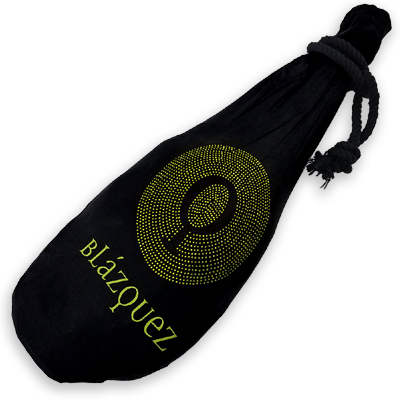 This is a handmade product with a quality capable of doing the delights of the most demanding gourmets.